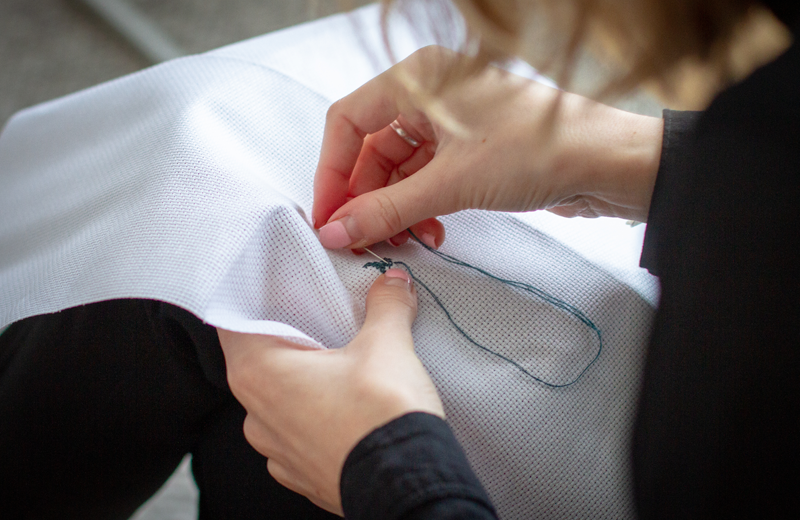 You have probably already tried your hands at embroidery but have you thought about how you are feeling whilst embroidering? Many feel it helps them to slow down and let go of some stress. It helps them to focus their attention and take a step back from everything that’s going on around us. A form of mindfulness. 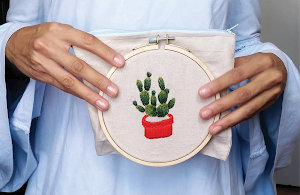 And Embroidery Therapy sure is a thing. Embroidering has been used to give comfort to victims of trauma for hundreds of years. An early example is Mary, Queen of Scots, who ruled Scotland during the 16th century. During her time in power Mary was said to be involved in few conspiracies and murder plots. When forced to abdicate she fled to England, with her eyes on the crown. Ruling Queen Elisabeth I however, choose to imprison Mary and kept her captive for 20 years. Mary is said to have found great solace in embroidering during her prolonged captivity. * But it has also been a common practice to offer embroidery therapy to soldiers since World War I. It's both a way to rehabilitate after physical wounds that had caused damaged to motor functions as well as psychological wounds and help get into a meditative state. Being “women’s work” this was another obstacle for the men of war to overcome. 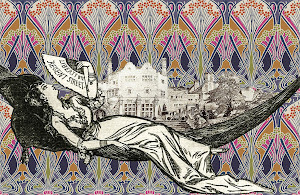 ** Alfred Briggs was one of the men offered Embroidery Therapy. Briggs was an Australian soldier during World War I, he was badly wounded during the second battle of Bullecourt which damaged nerves in his arm and left his hand with little function. He was encouraged to start embroidering both to pass the time and to train his hand in fine motor skills. During his time at the hospital he created embroidery work with patterns of flowers and butterflies. The work he did has since been donated to Australian War Memorial where you can read more about his story. 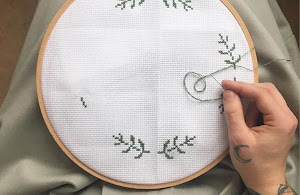 When we started to read about this topic, we hadn't heard much about embroidering as a form of therapy. 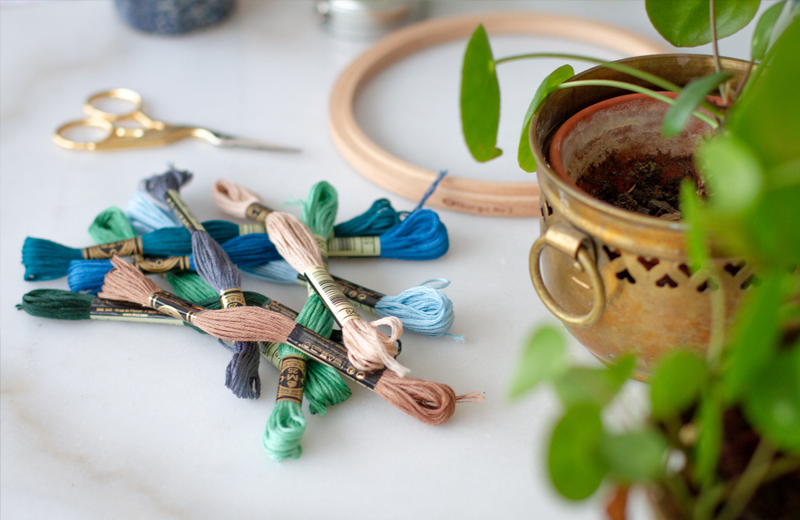 However we have seen embroiderers at all levels talk about how embroidery has served as a mindfulness exercise and a way to deal with stress. 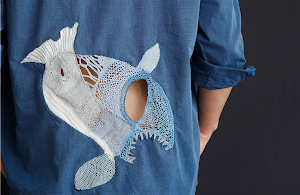 Now, knowing about the history of embroidery therapy, it seems obvious that we still use it for are wellbeing.